Shopping for interior, exterior, protection or performance accessories for your Toyota? 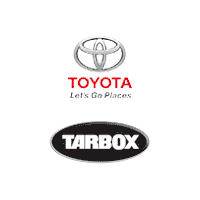 Toyota drivers near East Greenwich and Exeter, RI can find genuine Toyota accessories for their particular Toyota car, pickup truck or SUV by shopping at the parts department of Tarbox Toyota. Our dedicated parts department in North Kingstown, RI stocks genuine Toyota accessories for a variety of Toyota models; plus, any authentic Toyota accessories that we do not have in stock can be ordered. So whether you drive a late-model Toyota RAV4, Highlander, Tacoma, Camry, Prius or Corolla — or even a discontinued Toyota model like an FJ Cruiser or Celica — we have the accessories you need! With multiple ways to order, the dedicated parts department here at Tarbox Toyota makes it easy to get the Toyota or TRD accessories you want. You can call or stop by to speak with our Toyota parts and accessories specialists; or, simply order online through our parts department website! From exterior and protection accessories like paint protection film, splash guards, grilles and towing hitch kits to interior accessories such as floor mats, door sill plates and shift knobs, our parts staff has got you covered! Toyota 86, Tacoma and 4Runner drivers can find a wide range of TRD performance and styling accessories by shopping at our parts department. We stock accessories for every Toyota model, so order genuine Toyota accessories online now or contact our parts team with any questions today.